As you may know, I am an Avon/Mark rep (which really means I get to buy things for myself at a discount, I never seem to make any money at it). My new find from Mark! 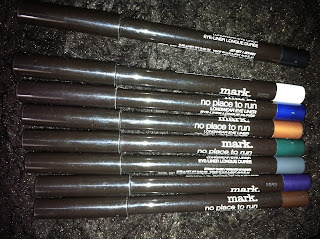 that I am currently in love with is their new liners, No Place To Run. I picked one of each colour up recently. 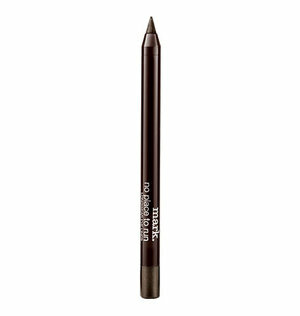 "You won’t be able to hide your love of this liner-it sets in a minute, is waterproof and literally lasts all day. A cap ensures this smudge-resistant pencil won’t even run inside your makeup bag. 0.04 oz. net wt." 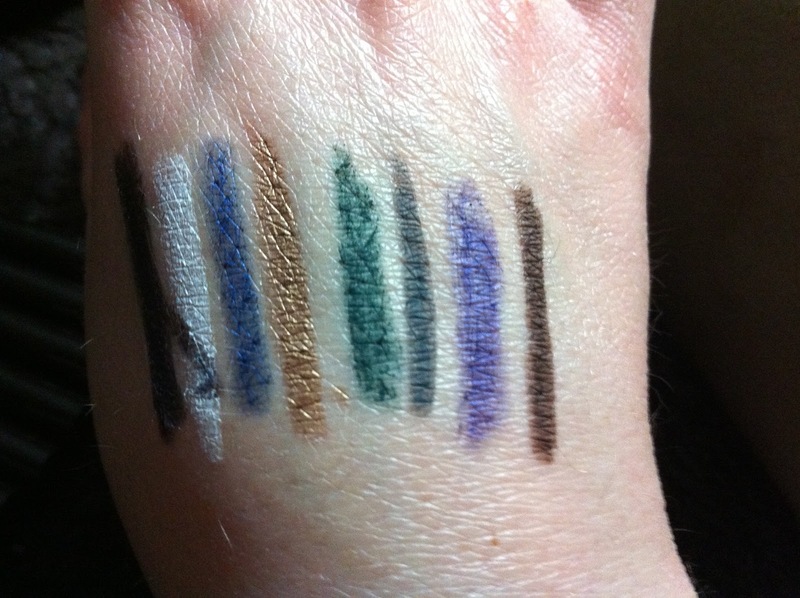 I really was shocked to see how creamy these liners were. The gold and blue have to be the creamiest and most vibrant; where the green was the least but still very nice. 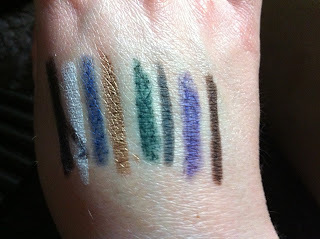 I was also absolute amazed to watch as swatches did smudge or wash away. I was so impressed I wore the black to work last Saturday only to see it stay put all day and earn me a pile of complements (it gets awkward after 5 people stair at you for 5 mins complements you). I love these! They stay put and are creamy and just overall beautiful. 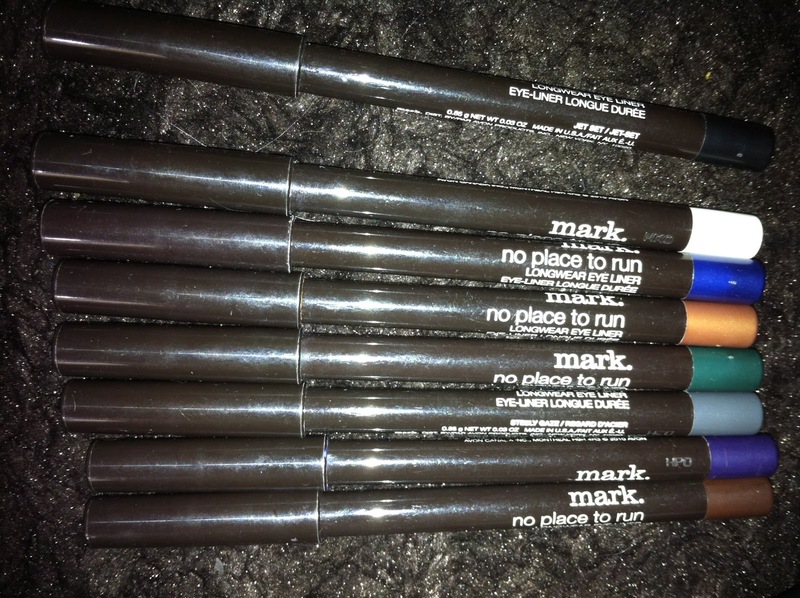 You need an Avon/Mark rep. I learned today that if sharpening your pencils eats them away too fast you can place them in the freezer for a short while to prevent any excess product loss. What a neat tip, so glad to learn it.